When writing a description of a homeless person in my English class, I used the idea of the unwanted weed growing in the wrong place as inspiration. As a homeless person I am treated as a weed, disregarded and unwanted. I make things look messy. A thorn among roses. I fell from great heights as a leaf may fall from a tree. However, I did not float and I did not land gracefully. More of a sudden crash and like that my life was gone. Like a feather from a bird part of me was lost and will never come back. Like a branch falling off and splintering, my soul was broken and shattered. Like an unkempt lawn my looks became wild. No-one comes near me now and they don’t want to help. They may fear me (maybe they think I’m going to rob them?). I look unpresentable. I smell like a goat and its many moons since I last had a wash.
You may describe me like a stick, thin from starvation. You may describe me as a beast – wild with no sense of direction. You may describe me as what you wish, I cannot stop you, but whatever you say won’t change who I am. In a way I’m like an onion, all layered up. What you see on the outside is not the same as what I’m like on the inside. If you gave me a chance I could show you, and it might surprise you. Maybe if you let weeds grow, a daisy will pop up. 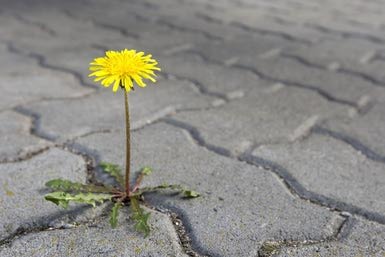 I’m a person like you, but I stand out from the crowd as a weed stands out from the ground. Underneath our roots are the same.